In AppMinute #216, Nemo flies through three recommended product reviews, and sparks fly wirelessly. 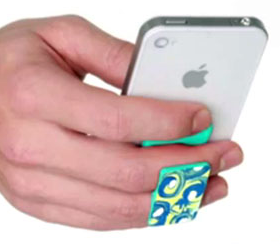 First comes FlyGrip, a clever and secure way to hold and use your iOS device. Then he raves about id America’s Spark in-ear headphones and microphone, with very good sound quality at a real bargain price. 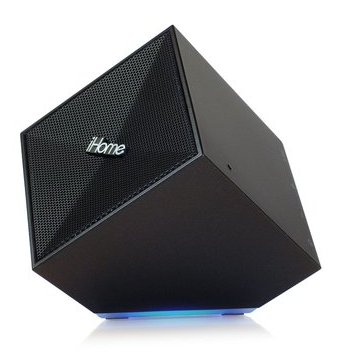 The main event is iHome Audio’s new cubist iDM11 Rechargeable Portable Bluetooth Speaker with Speakerphone for iPad/ iPhone/iPod. Use it as a portable Bluetooth speaker, home speaker, party speaker, and portable speakerphone. iDM11’s capabilities are extensive. This entry was posted in AppMinute Podcast, Headphones, Review, Speakers and tagged in Bluetooth, ear buds, iHome, iPhone, iPod touch, Speaker, speaker phone, wireless.